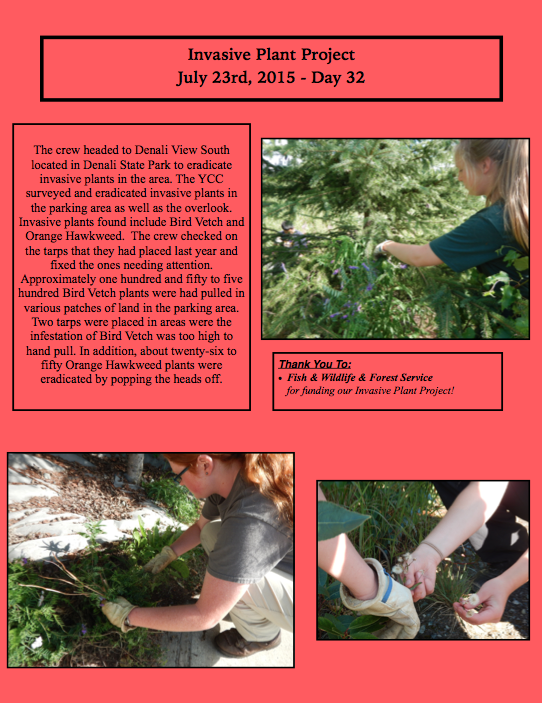 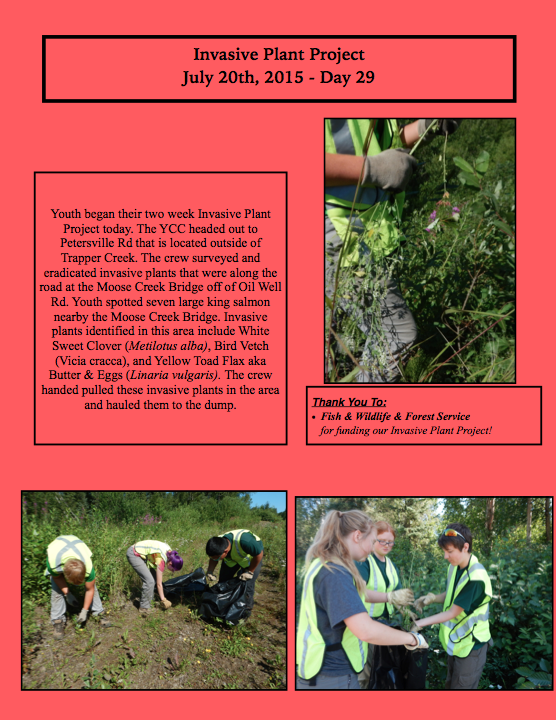 Invasive Plant Management- Day 36 Last Day of 2015 YCC Season! 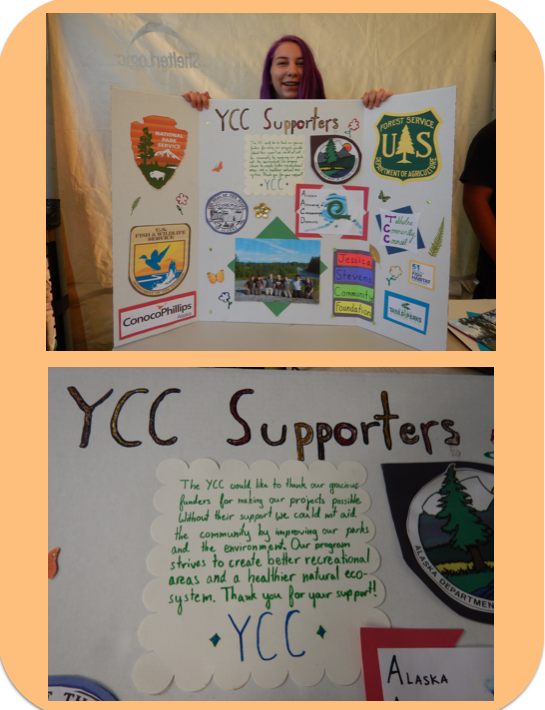 YCC Project Poster Boards- YCC Supporters- Thank You! 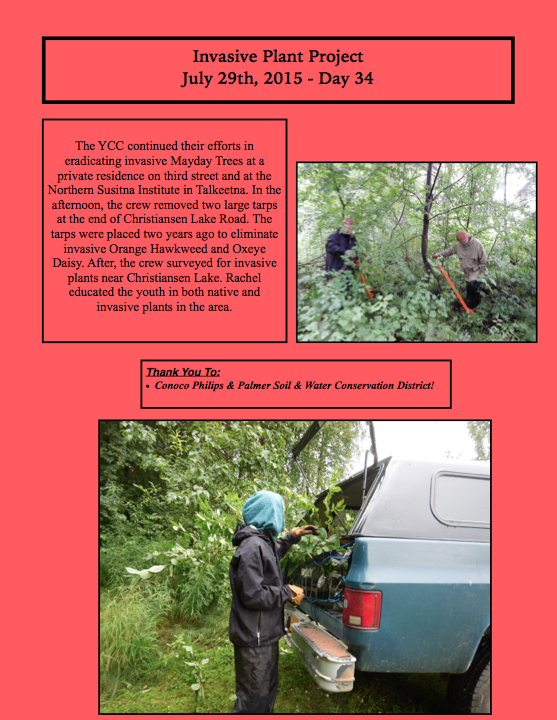 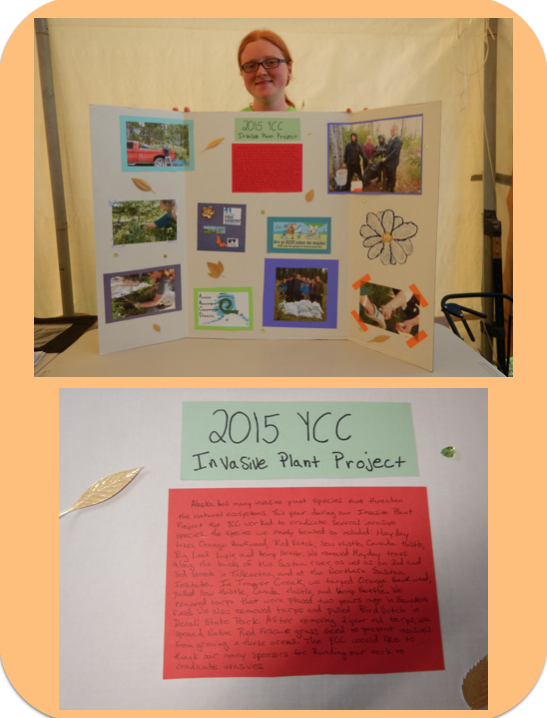 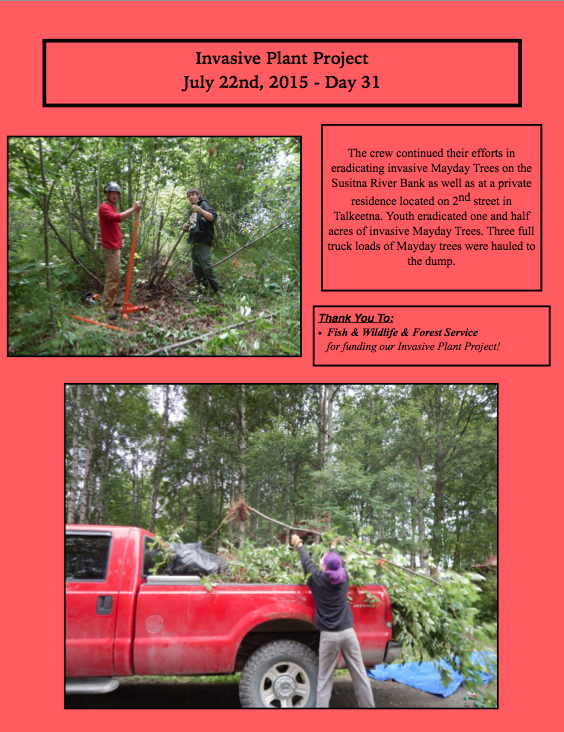 YCC Project Poster Boards- Invasive Plant Management- Thank you Supporters! 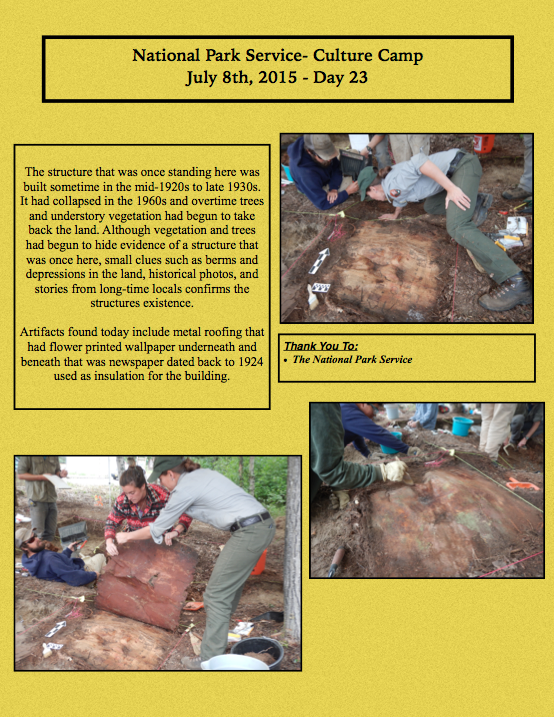 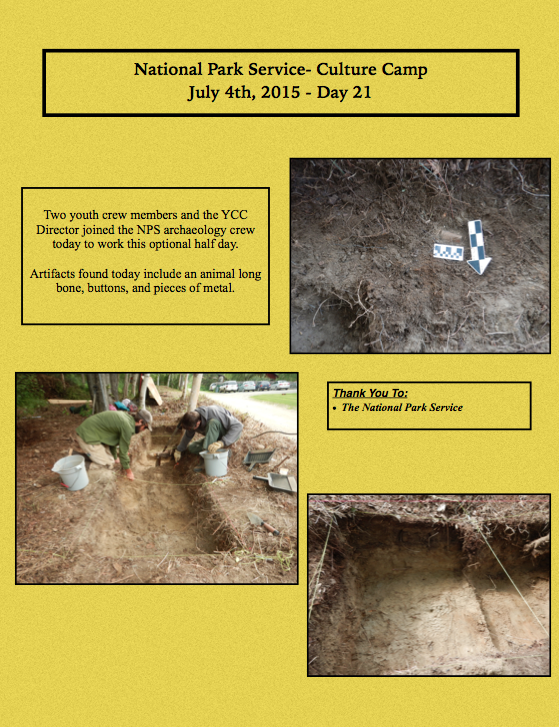 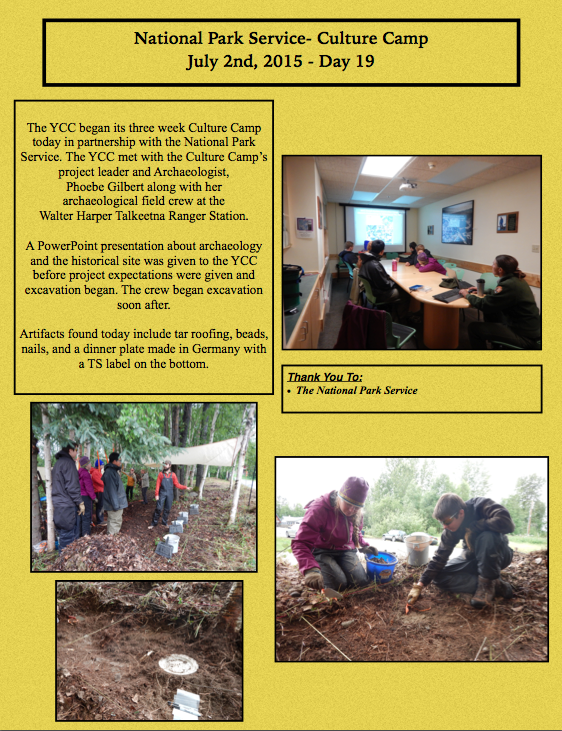 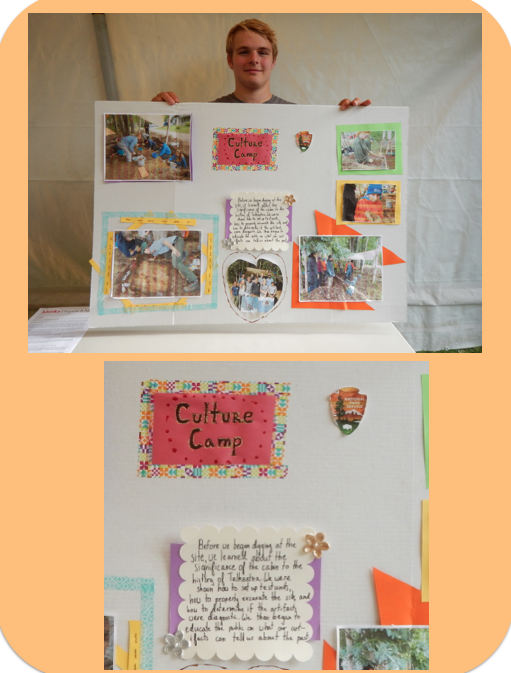 YCC Project Poster Boards- Culture Camp- Thank You National Park Service! 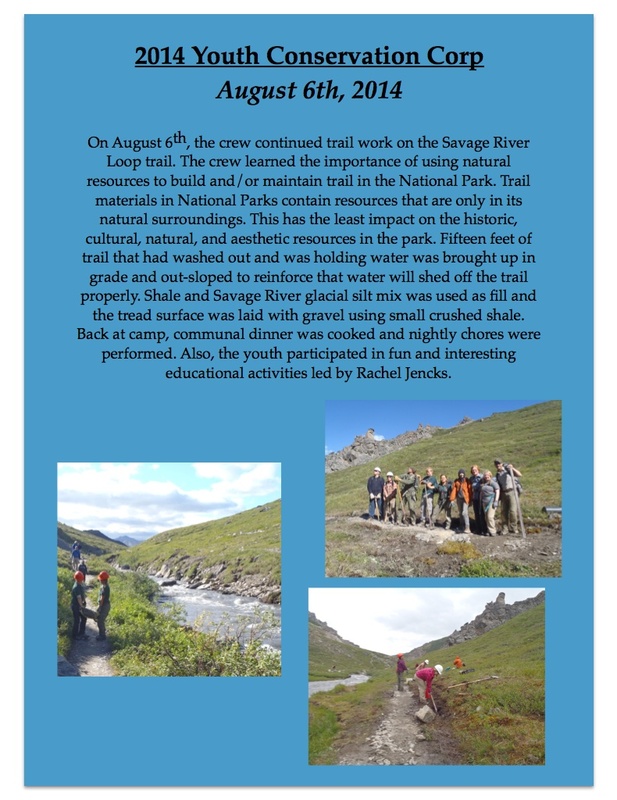 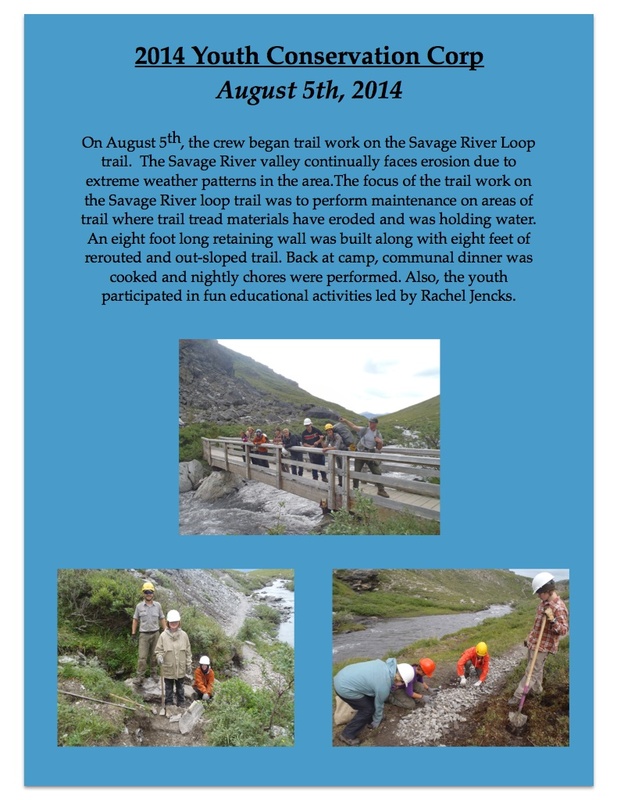 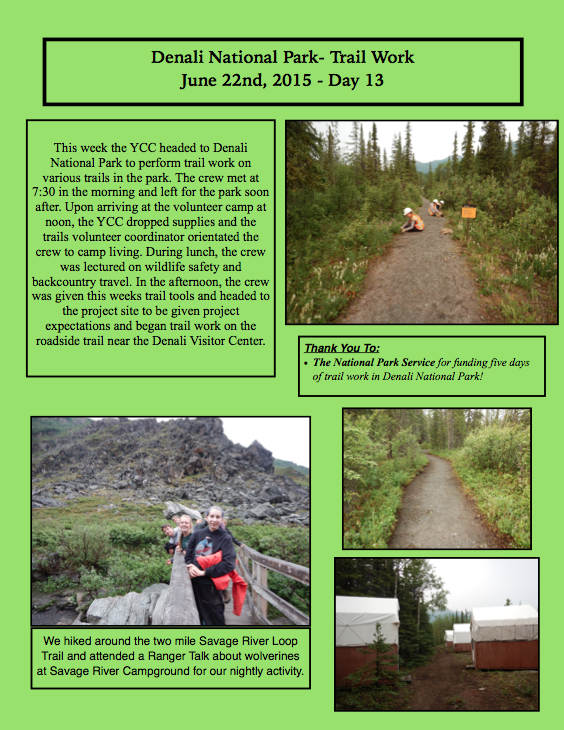 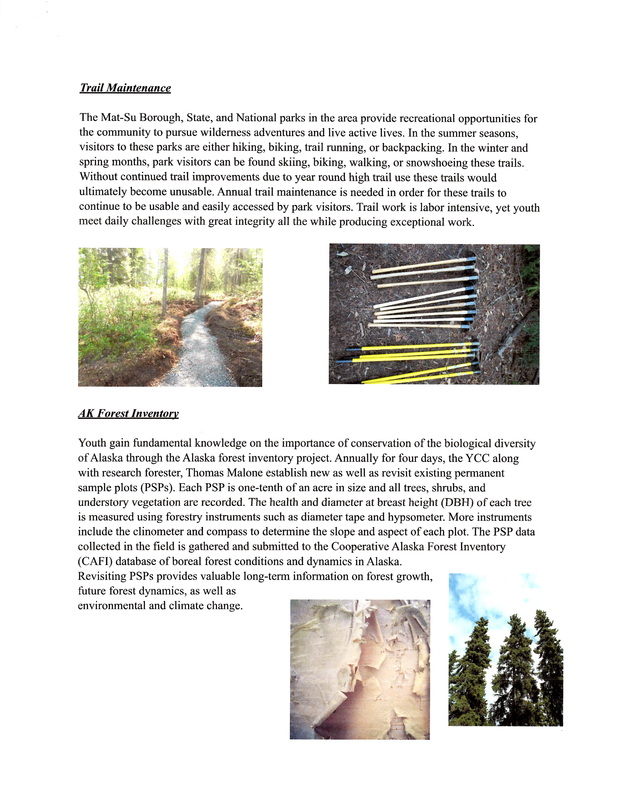 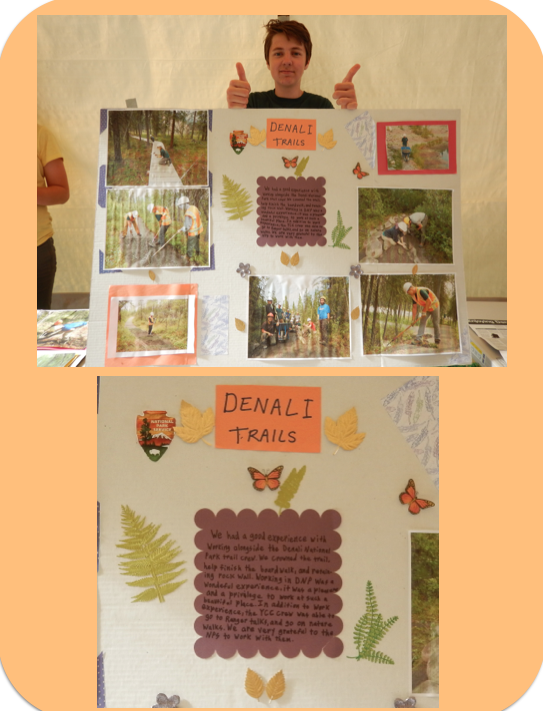 YCC Project Poster Boards- Denali National Park Trails- Thank You National Park Service! 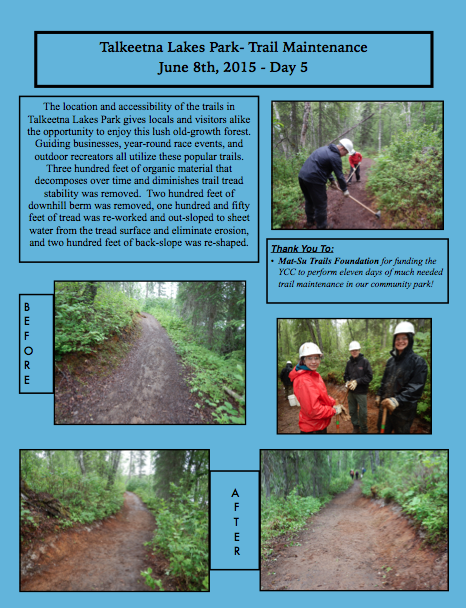 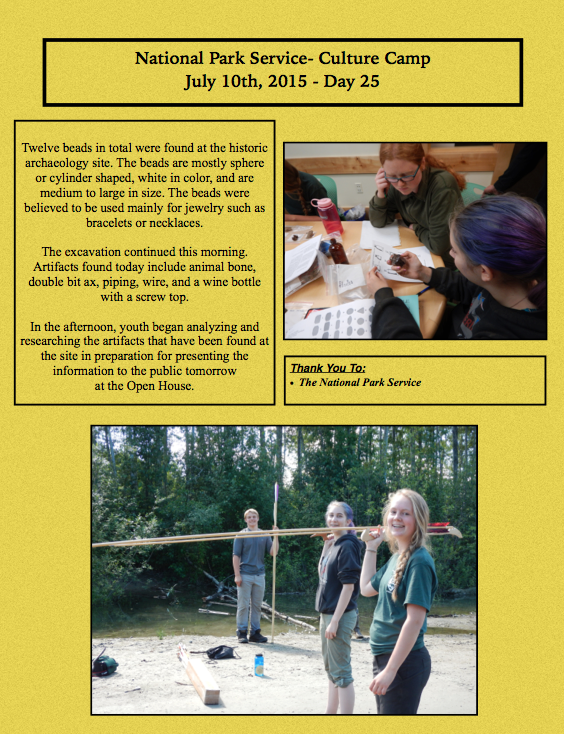 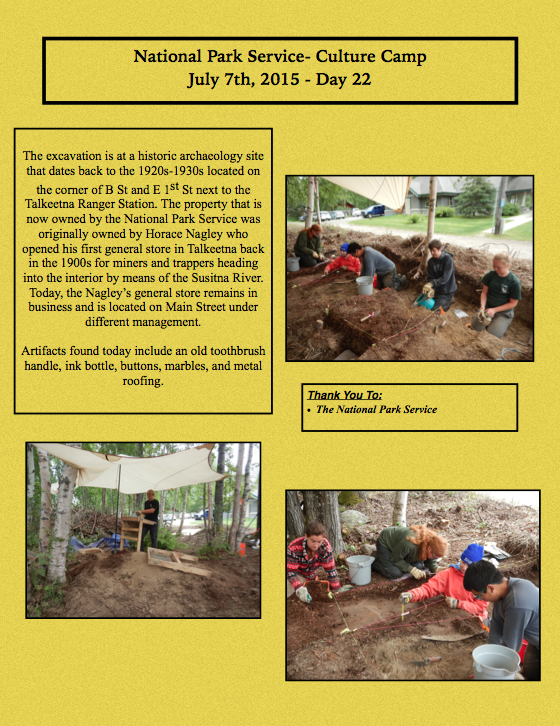 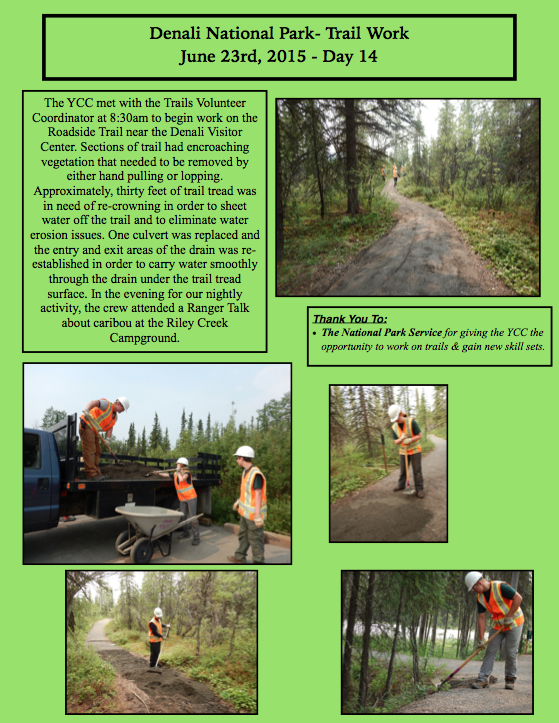 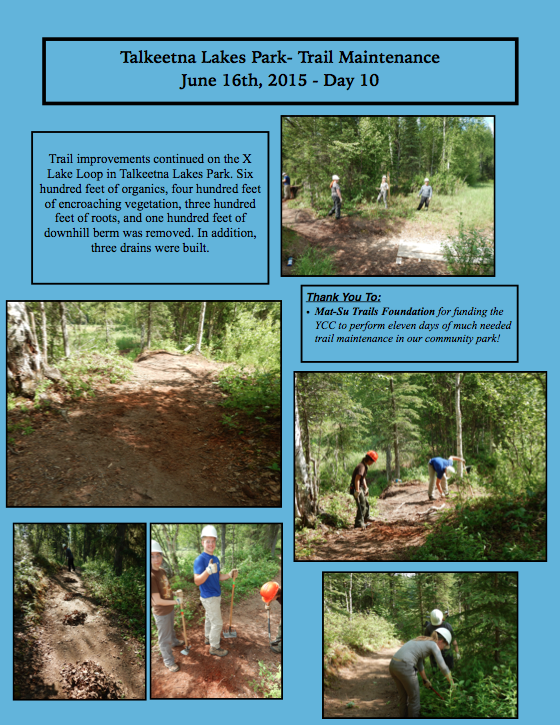 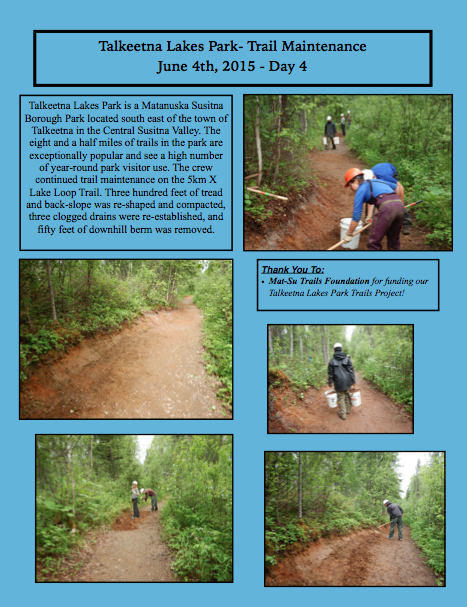 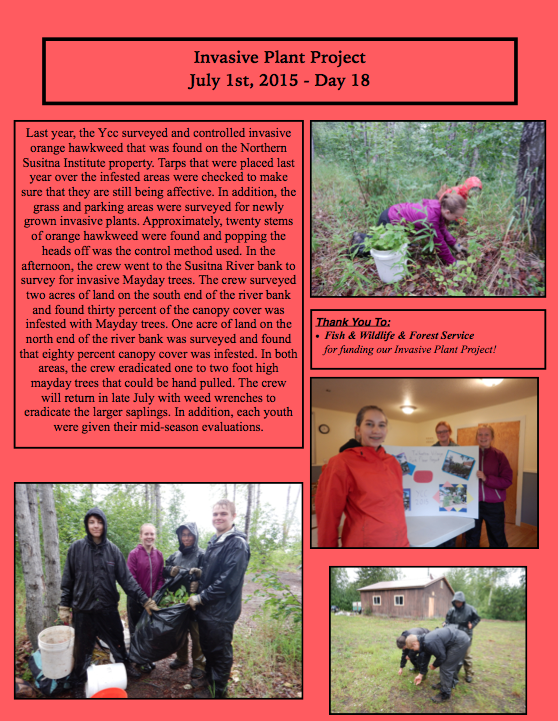 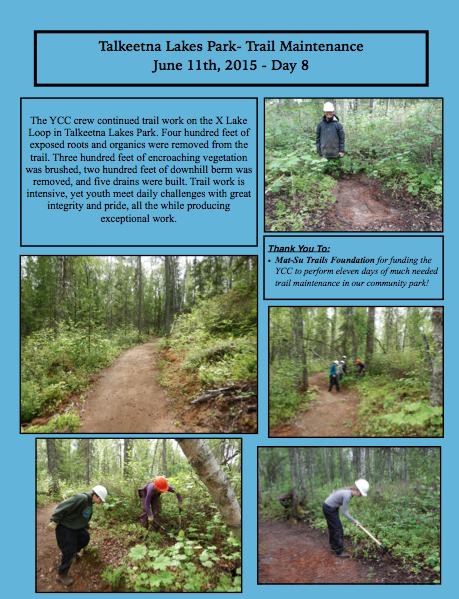 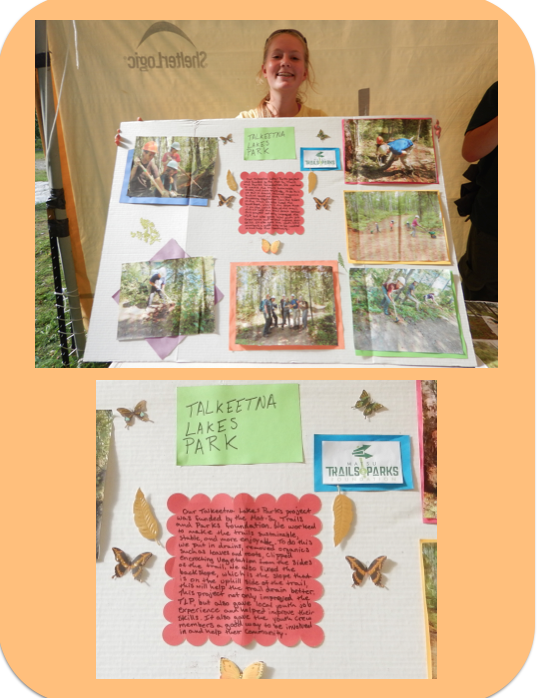 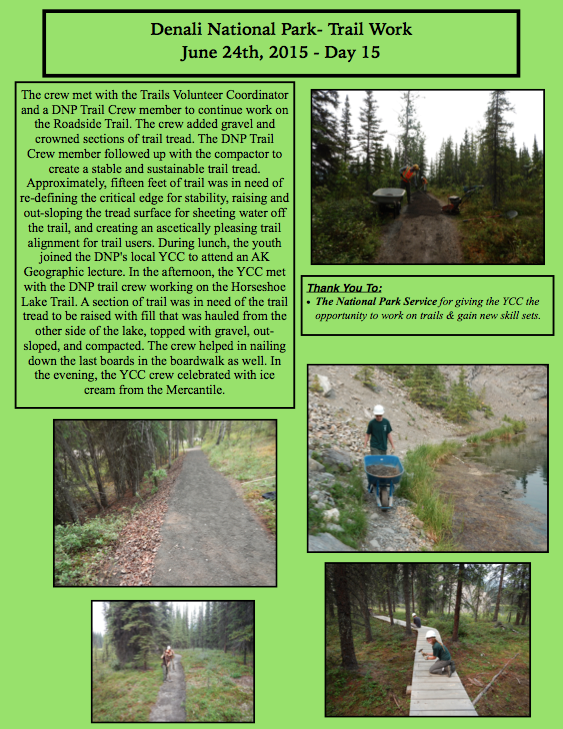 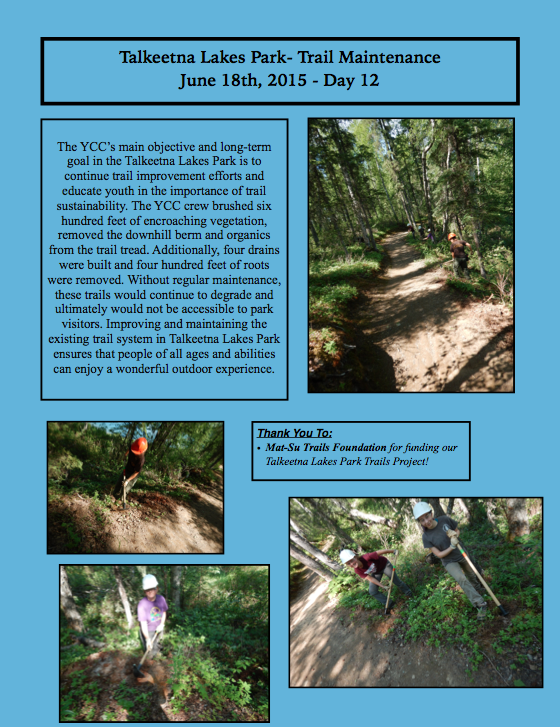 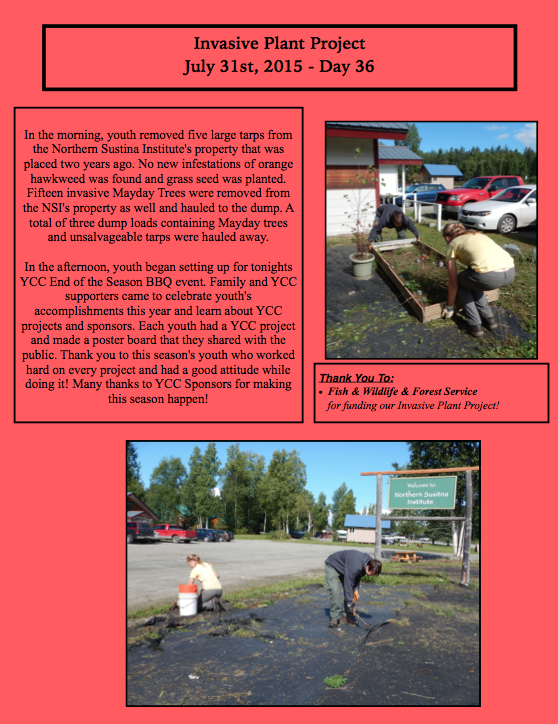 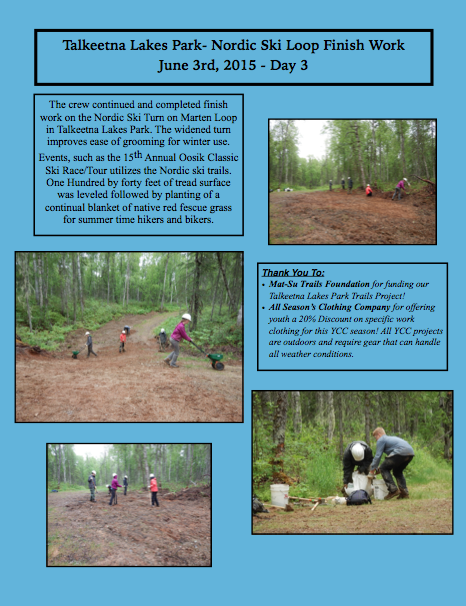 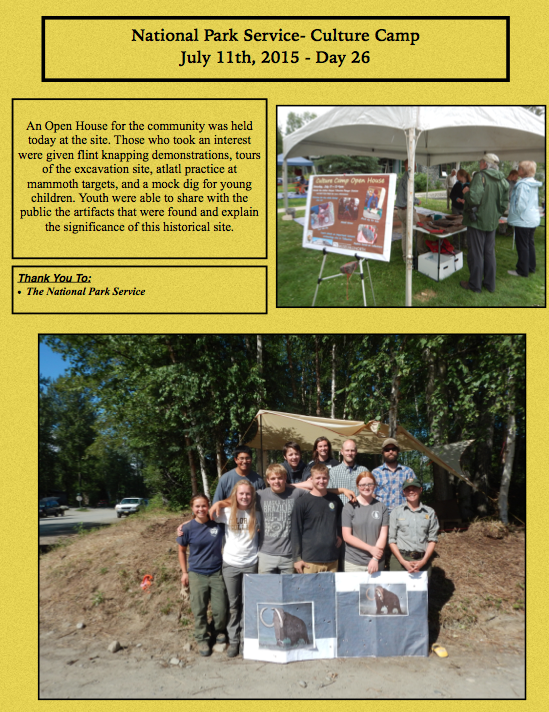 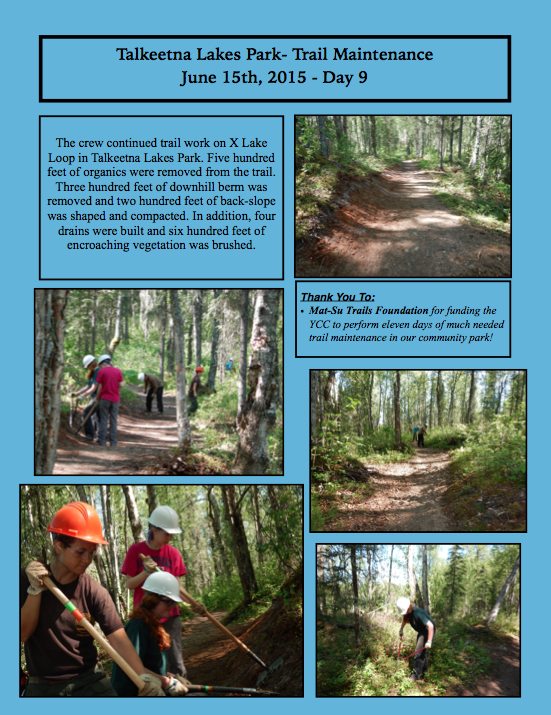 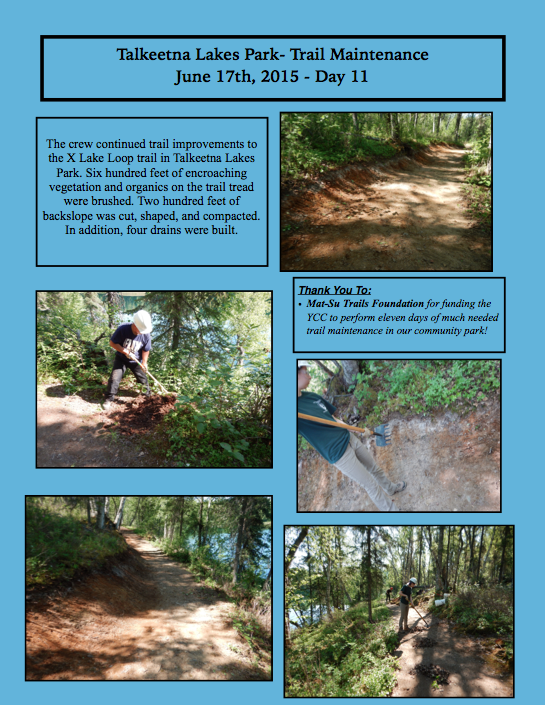 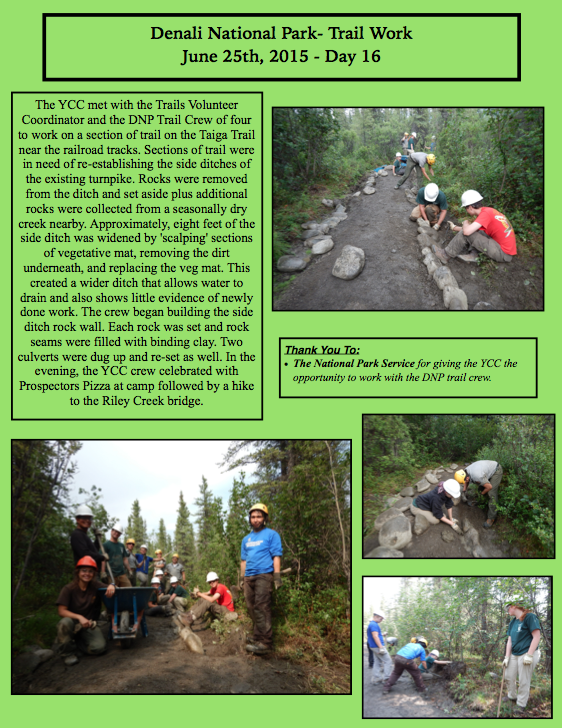 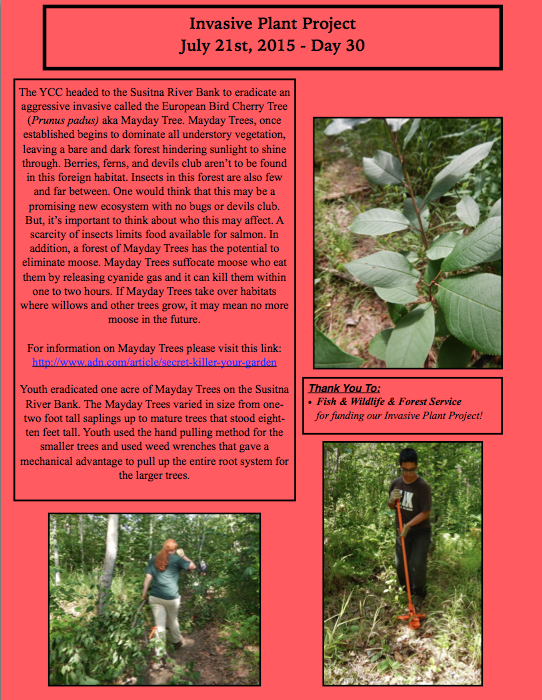 YCC Project Poster Boards- Talkeetna Lakes Park- Thank You Mat-Su Trails & Parks Foundation! 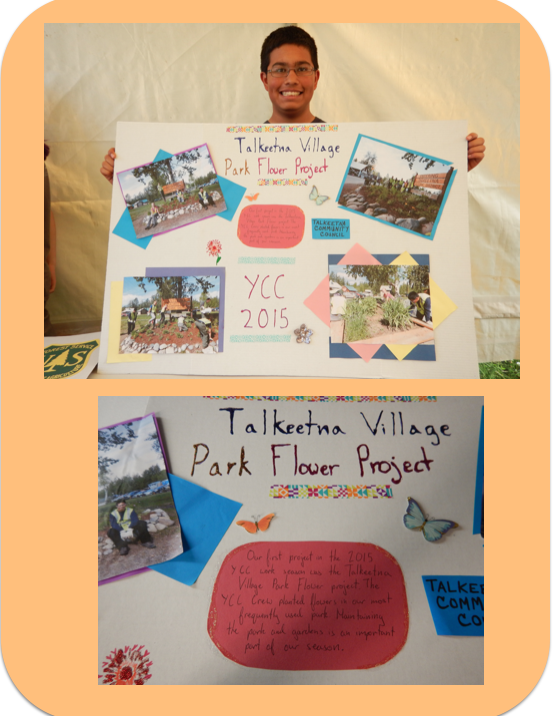 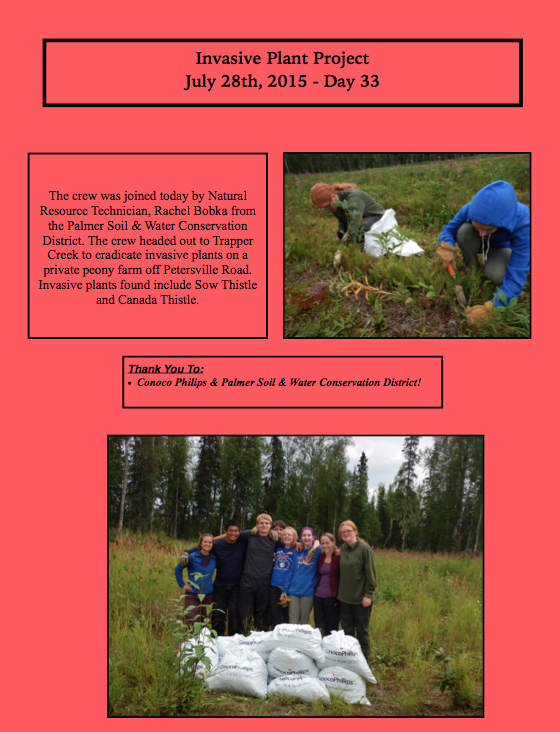 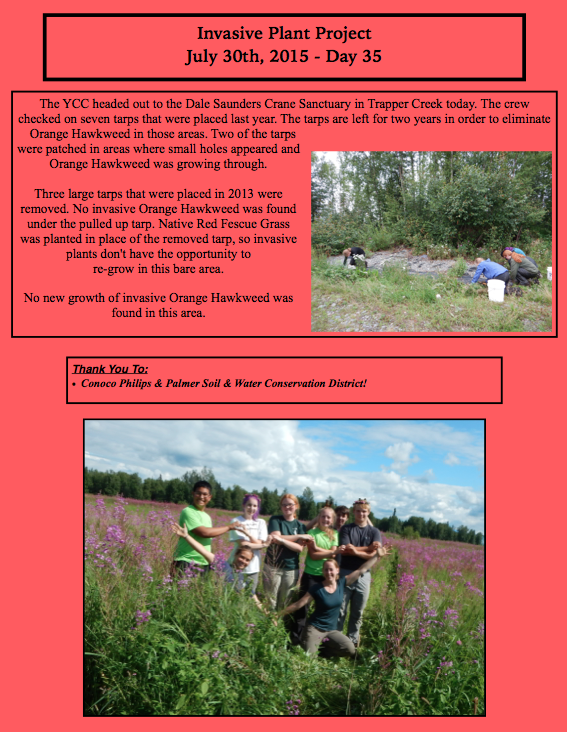 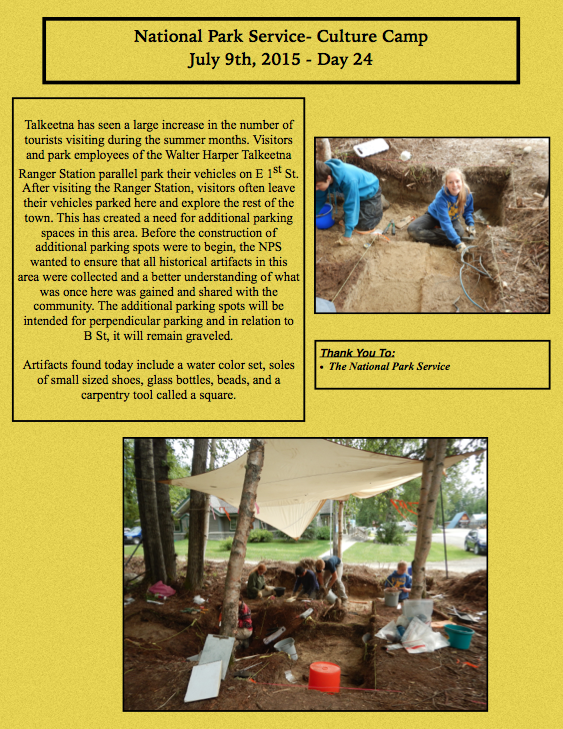 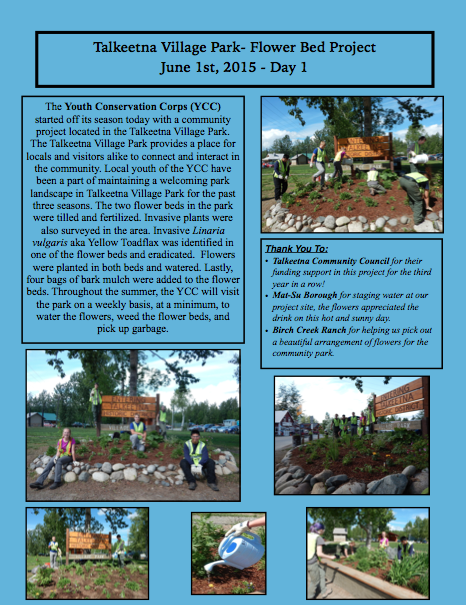 YCC Project Poster Boards- Talkeetna Village Park Flower Beds- Thank You Talkeetna Community Council! 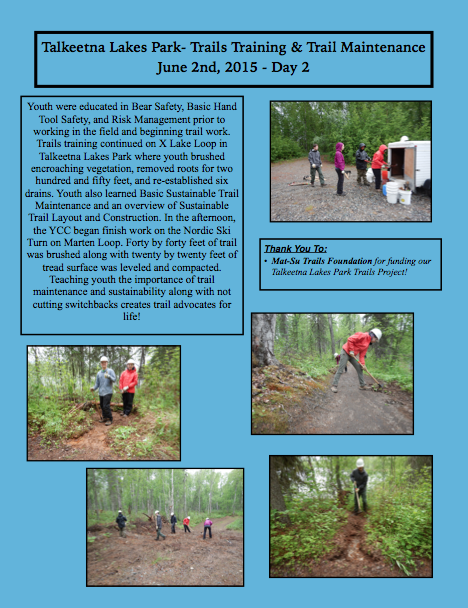 Youth Conservation Corps kicked off its season today! 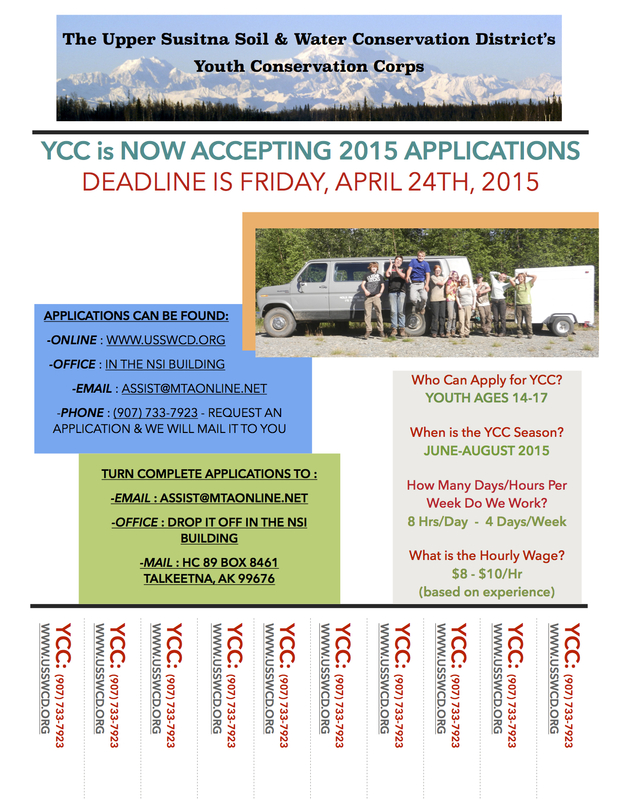 2015 Youth Crew Member Applications are Open & DUE APRIL 24th, 2015! 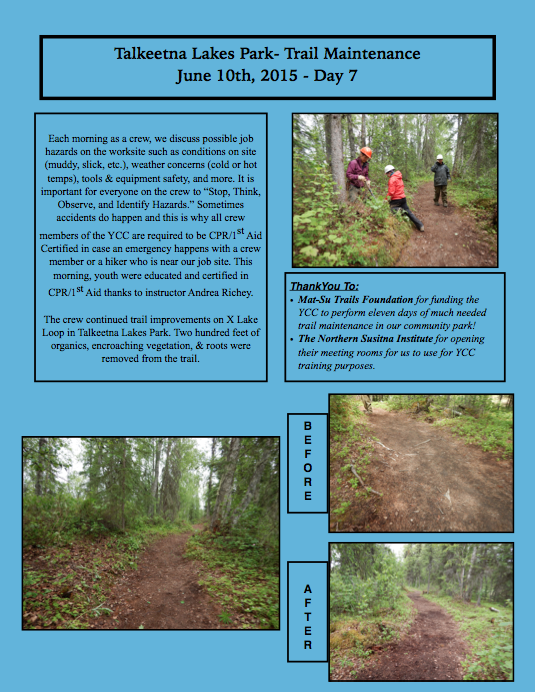 Turns yours in today! 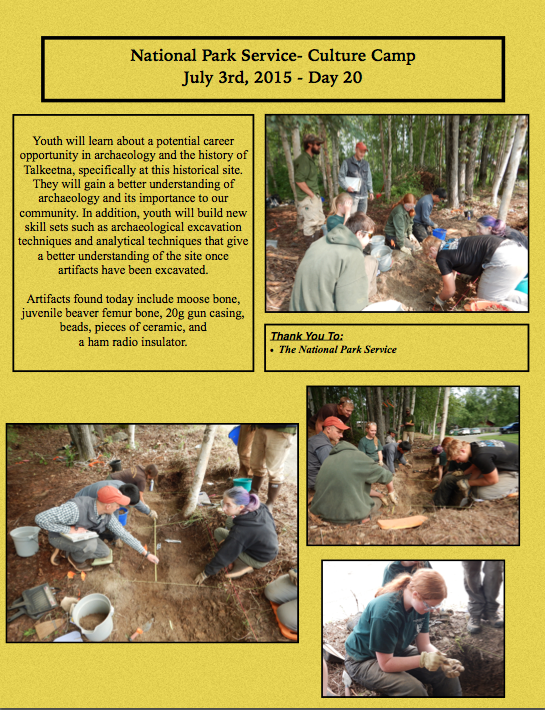 Are you between the ages of 14-17? 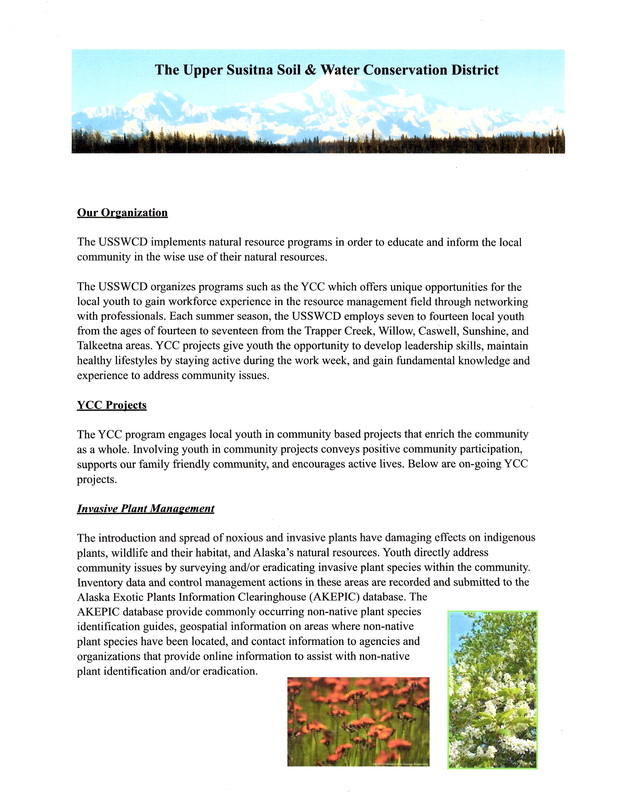 Do you live in the Talkeetna, Sunshine, Trapper Creek, or Willow area? 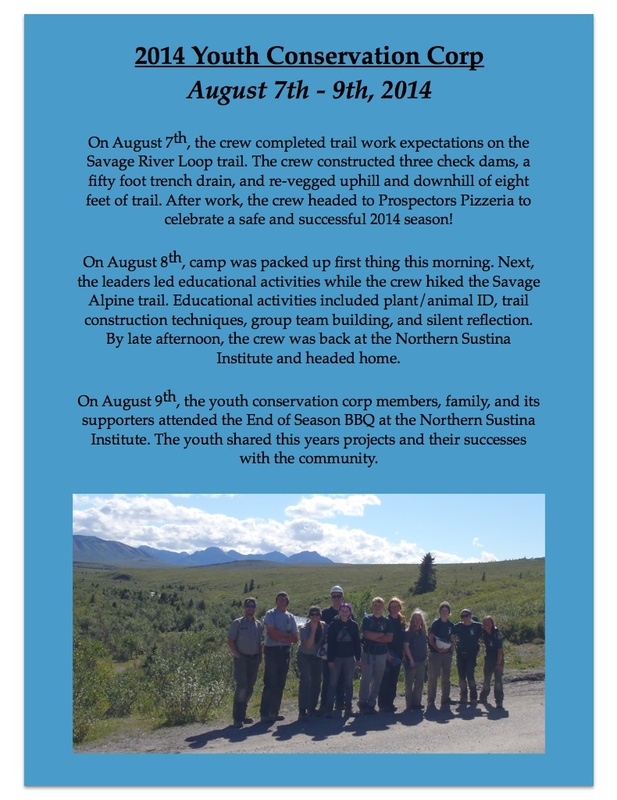 Would you be interested in spending your summer with friends, earning money, and gaining new skill sets while working outdoors in your home town? 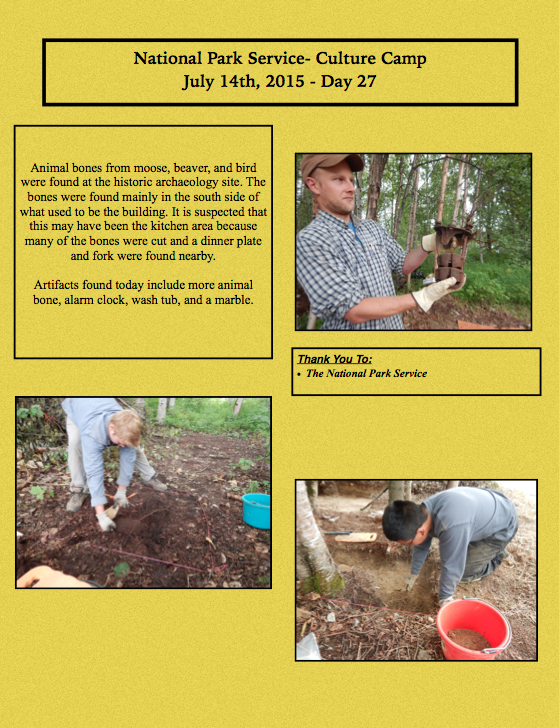 -Make Friends & Earn Money! 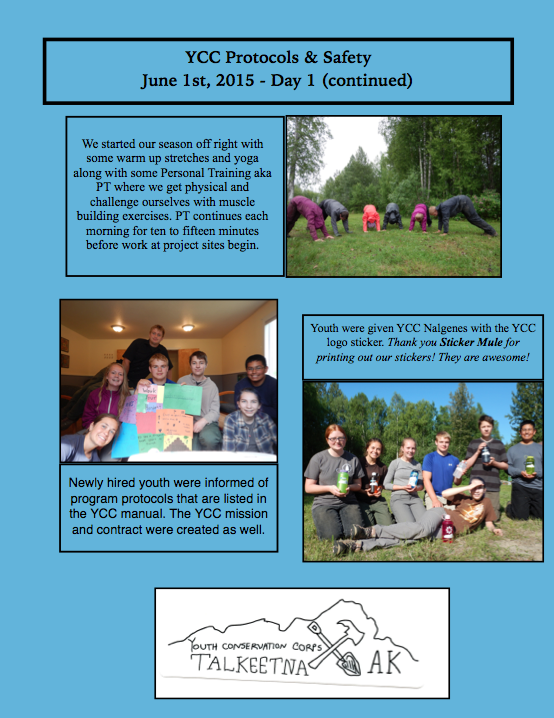 -Gain Muscle & Be Healthy! 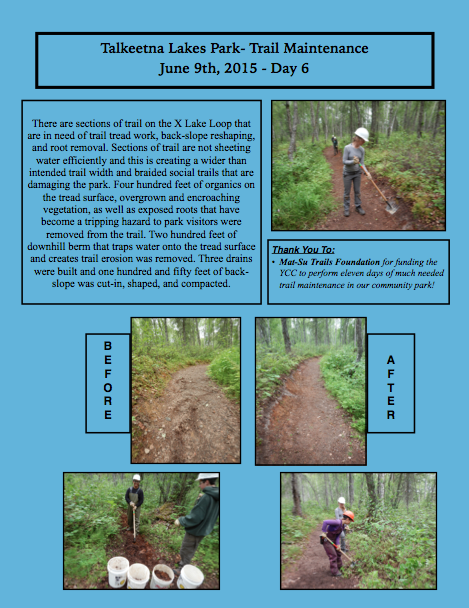 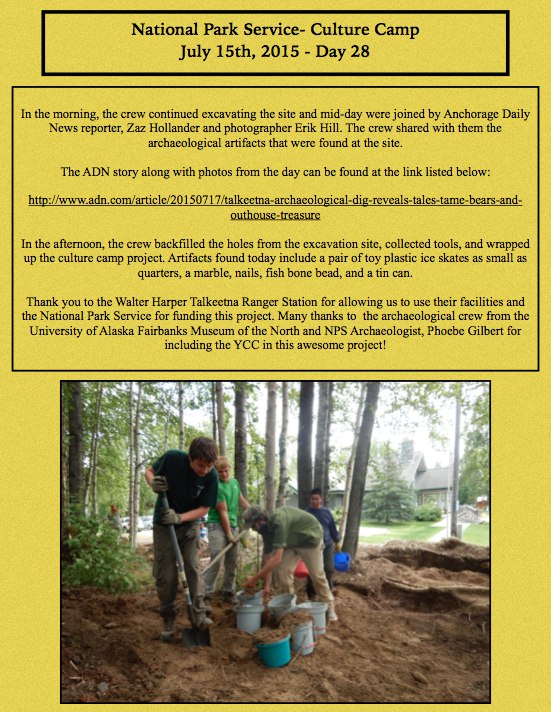 -Gain New Skill Sets: Trail Building, Plant Identification, and More! 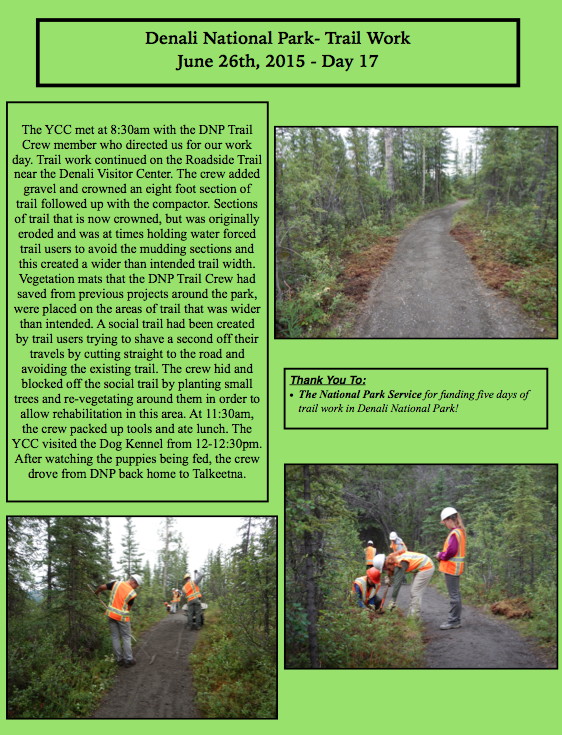 Denali National park trail work begins!